Very Good. Sewn binding. Cloth over boards. 168 p. Contains: Illustrations. 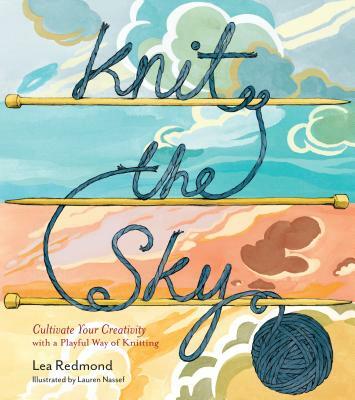 Knit the Sky is a complete creativity starter kit for any knitter looking for a fresh approach to the craft. The goal is not just to have a finished project but to have a one-of-a-kind piece that tells a story about the knitter's life experience. Accompanied by basic instructions for all the needed stitches, techniques, and patterns. New. Knit the Sky is a complete creativity starter kit for any knitter looking for a fresh approach to the craft. The goal is not just to have a finished project but to have a one-of-a-kind piece that tells a story about the knitter's life experience. Accompanied by basic instructions for all the needed stitches, techniques, and patterns. Num Pages: 168 pages, full colour illustrations. BIC Classification: WFBS. Category: (G) General (US: Trade). Dimension: 213 x 185 x 19. Weight in Grams: 524. 2015. Hardcover.....We ship daily from our Bookshop. New. Sewn binding. Cloth over boards. 168 p. Contains: Illustrations. Fine. 1612123333 LIKE NEW/UNREAD! ! ! Text is Clean and Unmarked! Has a small black line on edge of pages. Tracking is not available for orders shipped outside of the United States. Fine. 1612123333 LIKE NEW! ! ! Has a small black line on edge of pages. Tracking is not available for orders shipped outside of the United States.